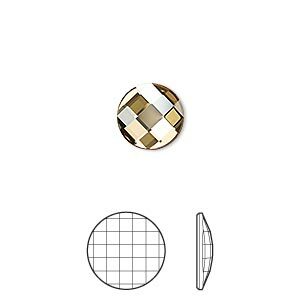 Flat back, Swarovski® crystal rhinestone, crystal clear, foil back, 10mm faceted chessboard round (2035). Sold per pkg of 4. Item Number: H20-A2276CY Have a question about this item? 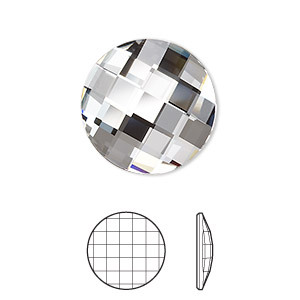 Add the famous Swarovski® crystal sparkle to designs with these dazzling crystal rhinestones. 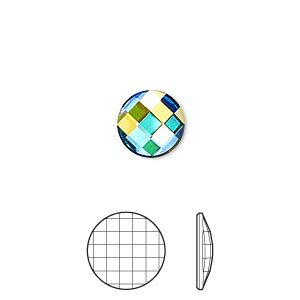 Swarovski® crystal rhinestones can be incorporated into an array of designs including wirework, glued to specifically calibrated 10mm faceted chessboard round Almost Instant Jewelry® settings or set in polymer clay, metal clay, Apoxie® Sculpt, ICE Resin® or Vitrium® Clay. 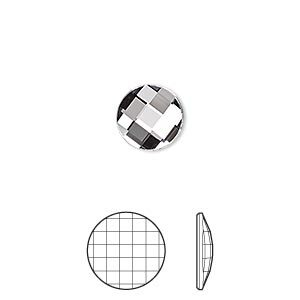 Flat back, Swarovski® crystal rhinestone, crystal clear, foil back, 10mm faceted chessboard round (2035). Sold per pkg of 48. 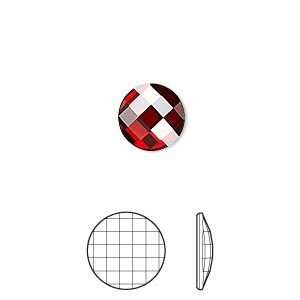 Flat back, Swarovski® crystal rhinestone, crystal clear, foil back, 10mm faceted chessboard round (2035). Sold per pkg of 192.